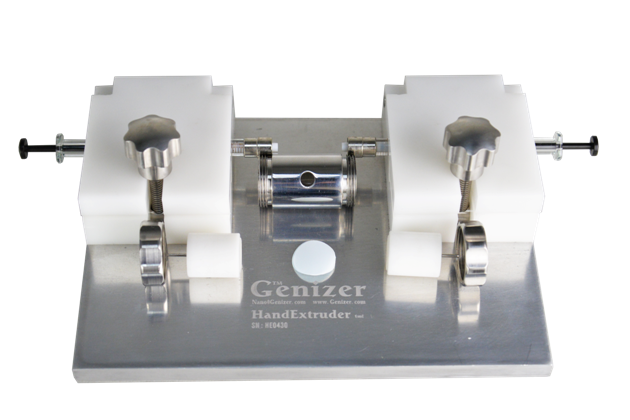 Description: Hand driven extruder is for formulation of 0.25ml-2.0ml liposome and lipopolyplex; Temperature control is available. 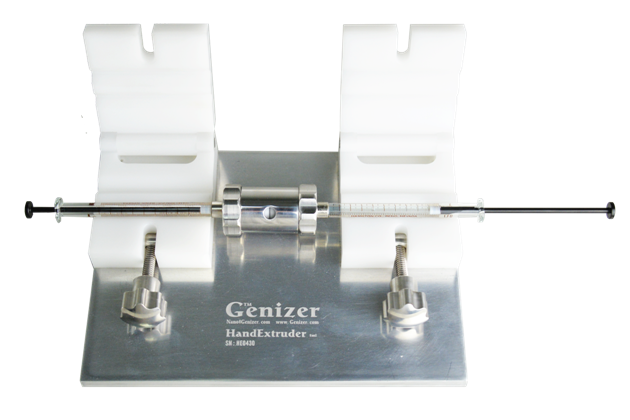 Description: The HandExtruder is a manually powered extruder designed for use with small samples. 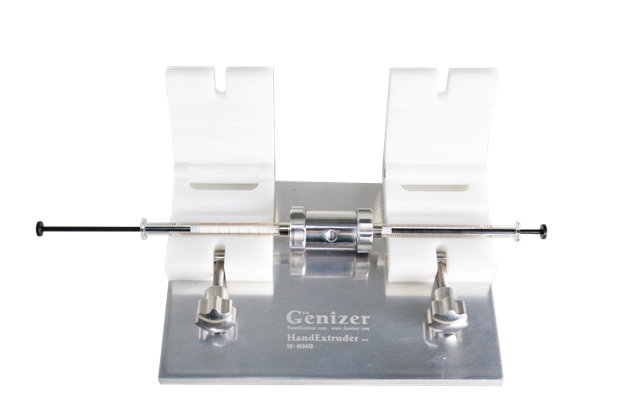 The sample is passed back through the membrane by pushing the sample back and forth between two syringes. 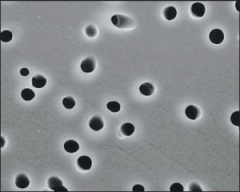 Homogenous samples can be produced quickly and easily in minutes; typically 5-10 passes are sufficient to produce a sample with uniform liposome size. 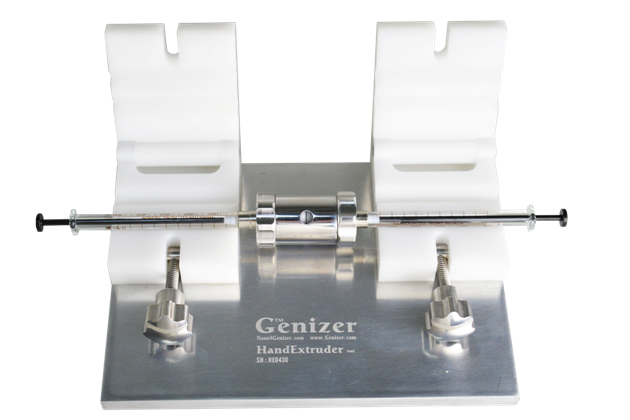 The HandExtruder is virtually no dead-volume and easily cleaned and suitable for sterilization.